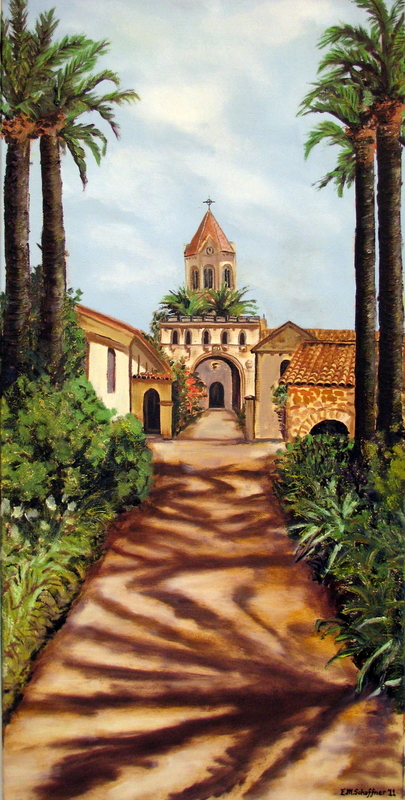 Off the coast of Cannes, France is the island of St. Honorat, home of a Cistercian monastery. The landscaping and gardens tended by them make this island a paradise to visit. I was lucky enough to walk in silence among the monks and other tourists in the summer of 2010. This painting is based on a photograph I took while there.